Seek the advice of your physical therapist for the proper exercises to perform to prevent an injury. Swimming may be the single best type of life long exercise. It’s enjoyable and great for the cardiovascular system, and it doesn’t cause the typical injuries related to many exercises. 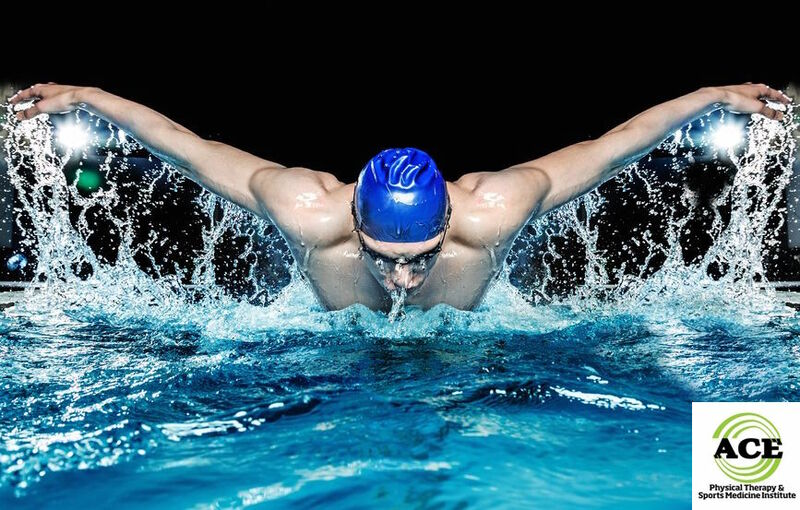 It has even been that swimming requires “every” muscle in the body to work. You can still overdo it. 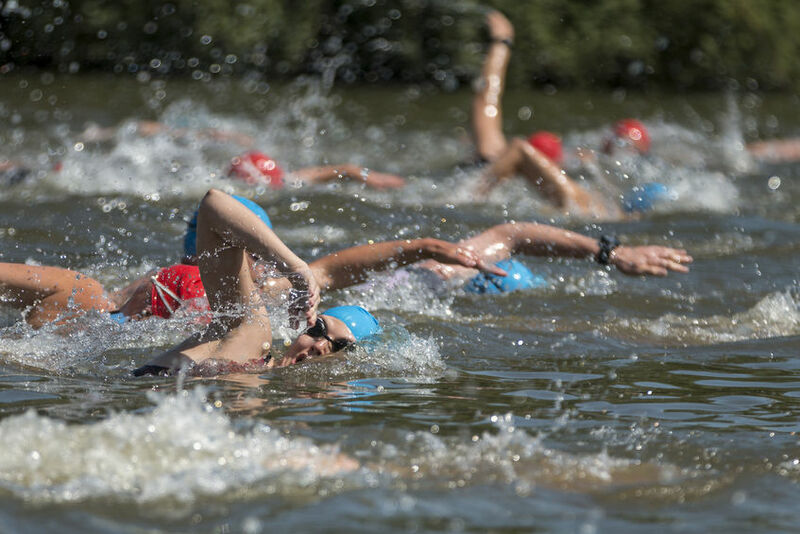 Swim for too many miles or for too long of a period of time, and you may injure the shoulder joints or other joints. The joints of the body are moved and dynamically stabilized by the muscles that attach to or cross over that particular joint. If the joint is “used” too much in the same manner on a regular basis, it will suffer from an “over-use” injury. The soft tissue is compromised and there is often damage to the tendons and any bursa that are located in and around the joint. Strength training for swimming involves cross training and strengthening the surrounding musculature. The muscle and tendon tissue are better equipped to handle the stresses and strains of a particular exercise or activity if they are strengthened and stretched. There are many different ways to strength train for swimming and seeking the advice of a physical therapist can be extremely beneficial. The goal is to perform the correct exercises several times per week. If the exercises are performed incorrectly or the wrong exercises are performed, the body can be injured further. Swimming requires repetitive motions of the shoulders. The repetitive nature of the sport leads to many soft tissue injuries in some people. Any repetitive motion can lead to tendinitis of the muscle/tendon that is helping to move the joint through a particular motion that is associated with the sport. The swim stroke, of any kind, requires the shoulder to be moved through a range of motion that is at shoulder level or above shoulder level. This type of motion can compromise the space in the shoulder that is known as the Sub Acromial space. This space houses the top portion the rotator cuff and a bursa that helps to protect these tendons of the cuff. The tendons and/or bursa can be pinched or impinged and damage can occur. If the shoulder musculature is working properly and is strong enough to handle the task at hand, the natural impingement that occurs with motions at or above shoulder level do not cause damage and/or injuries. When the musculature is not properly strengthened, stretched or responds at the incorrect time, the bones of the shoulder are moved in an abnormal movement pattern that often times leads to an injury and causes the person to have a painful shoulder. A physical therapist can educate and devise a workout routine for the musculature of the shoulders that will help to prevent an injury. There are several key factors to maintaining a balance and proper function of the shoulder joint. The focus must be to strengthen the scapulae stabilizing and rotator cuff muscles and stretch the anterior aspect of the shoulder joint. The constant “pulling” of the swim strokes that are not “back-stroke” place a tremendous amount of strain on the anterior muscles and joint structures. This can lead to the “rounded shoulder” posture that many swimmers assume and this alone can predispose the shoulder joint to an injury. The strain on the front of the shoulder can produce reduced range of motion which is best treated by a well-designed stretching program. PULL APARTS: Stand and hold a piece of Theratubing (Rubber tubing can be purchased at most sporting goods stores or ask your Physical Therapist for a piece) of appropriate tensile strength in your hands. Your arms should be at or near shoulder level and your elbows should be fully extended (straight). Your palms should be facing each other so that your thumbs are pointed towards the ceiling. Slowly move your arms apart and stretch (“pull apart”) the Theraband. Your goal is to get your hands spread apart with your elbows straight and in line with your shoulders. Your arms should remain parallel to the floor at all times. The final phase of this exercise is to take your shoulder blades and squeeze them together. EXTERNAL ROTATION: Standing and grasping a piece of tubing that is anchored position your arm at your side and your elbow at a 90 degree angle. Begin to rotate your arm away from your torso maintaining the 90 degree elbow bend. Move your arm as far as it goes comfortably and finish by squeezing your shoulder blades together. “Y’s”: Lie with your arms in front of you, elbows straight. Your arms should be as close to your ears as possible, but it is fine if they are slightly separated away from the ears. Together, raise both your arms as high as possible. Most people can only raise them a few inches. The palms of the hands should remain facing the floor at all times. Pause and then lower them slowly to the starting position. “T’s”: Lie in the same position as the previous exercise, but put your arms directly out to the side and keep them at shoulder level. Raise your arms together and attempt to squeeze your shoulder blades together at the same time. The palms of the hands should remain facing the floor at all times. Pause at the top and then return slowly to the starting position. “I’s”: Lie in the same position and place your arms down at your sides. Your palms are facing the ceiling. Begin by retracting (squeezing) your shoulder blades together. When the shoulder blades are squeezed as firmly together as possible, raise the arms as high as possible. Pause and return slowly to the starting position. DOORWAY STRETCH (Corner stretch): Stand in the opening of the doorway. Place both arms on the doorway frame with the palms flat against the frame. Your arms should be above shoulder level and near each corner of the frame. Slowly move forward until you feel a stretching sensation in the front of your shoulders and chest area. Stop and hold that “stretch” for a prolonged period (30+ seconds would be good). This stretch can be repeated with the arms placed at varying positions on the framework to achieve a slightly different stretching sensation in the chest and arms. This stretch can be in the “corner” of a room if a doorway is not available. BOLSTER/ TOWEL ROLL STRETCH: A foam roller (bolster) or a towel can be rolled up to a length of approximately 8 -12 inches. The person places the rolled object between their shoulder blades as they lie on top of it. The stretch occurs when the arms are moved out to the side with the palms facing upward. The stretch should be felt in the chest and front of the shoulders. Plank: Lie prone (on your stomach) and push yourself up off of the floor. Support your body weight on your forearms, elbows and toes. No other body part should touch the floor during the exercise. If it is too hard to support your body weight this way, you may allow your knees to touch the floor. Side Plank: Lie on one side. Push your body weight up off of the floor and support it with our forearm and elbow on the side where you are lying. The side of your foot rests on the floor during the exercise routine. If this position is too difficult, keep the entire side of your leg below the knee on the floor during the exercise. Swimming is great for staying in shape or getting in shape. The activity helps to condition the cardiovascular and musculoskeletal system and gravity’s forces are eliminated. Proper strength training for swimming helps prepare swimmer to enjoy the sport without suffering an injury.